I'm a huge fan of books that encourage exploration of the natural world and getting kids outside. While summer has come to an end, that doesn't mean kids and families can't enjoy spending time at the beach, observing the wildlife and hunting for shells. 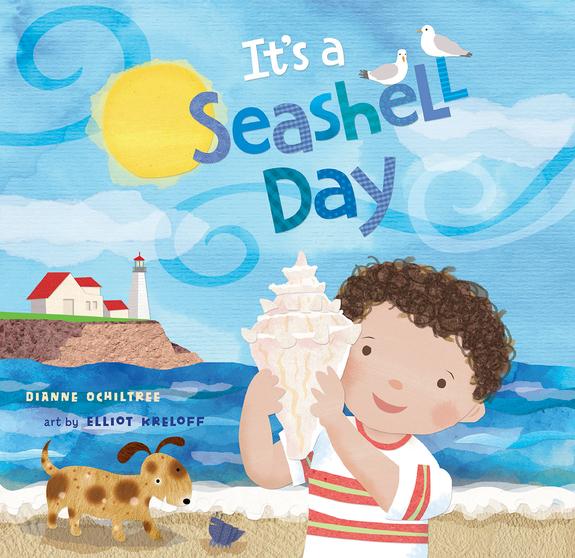 A new book by Dianne Ochiltree can provide a perfect introduction to these activities. 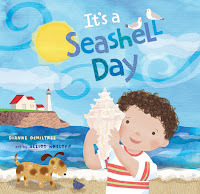 Mommy tells me, "It's a seashell day!" I rush down the path, over the dune. Salty breeze blows. We'll be there soon! Once they arrive at the beach, mother and son see gulls, find rocks, walk in the squishy sand, watch waves, dig for shells, compare shells, care for wildlife, and much more. 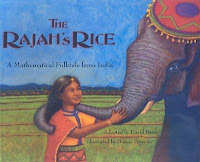 Part celebration of nature, part counting book, and whole-hearted homage to families spending time together investigating, enjoying, and appreciating the world around them, Ochiltree has given readers a gem of a story. She has also provided a number of interesting facts (12!) about mollusks and seashells in the back matter. The illustrations beautifully complement the text. If readers look carefully they will see the passage of time through the day as the sun moves through the sky, starting low, arcing across the sky, and sinking again into the horizon. The shells are clearly rendered and make counting along with the text easy to do. 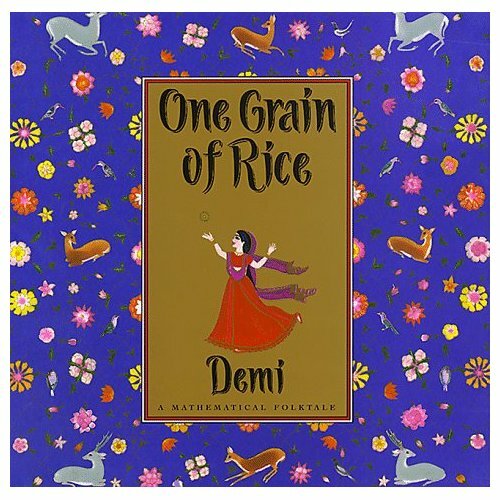 For kids in preschool and early elementary grades, this book can be used to explore four of the five senses. What does the boy see at the beach? What might he hear? What does it smell like? What does the wet sand feel like? How is it different from the dry sand? What do the shells feel like? I would bring out a shell collection after reading the text and ask students to observe the samples. We would record observations and make scientific drawings. One of my favorite parts of the book is the double-page spread that models respect for living things. Here's an excerpt. My shell is tiny, a silvery pearl. Mommy's is brown with a big, twirly curl. "This shell is a home," Mommy tells me. "Let's put it back to live in the sea." Reminding readers that shells have diverse environmental functions, such as providing homes and hiding places for creatures, is an important one. There is much to love in this enchanting little book. I recommend it with enthusiasm. Source of Book: Review copy received from SoCal Public Relations. More Info: Visit Blue Apple Books to look inside the book. For teachers looking for additional resources to use this book to encourage beachcombing or the study of shells, these will be helpful. The bref double is a French form. It is similar to the sonnet, but has a different rhyme scheme and does not need to be written in iambic pentameter. This form contains three quatrains (four-line stanzas) followed by a final couplet. It has three rhymes: a, b, and c. Five of the 14 lines are not part of the rhyme scheme. The c rhyme ends each quatrain. The a and b rhymes are found twice each somewhere within the three quatrains and once in the couplet. Here are some sample rhyme schemes. You can learn more about this form at Robert Lee Brewer's Poetic Asides and Poetry Magnum Opus. I hope you'll join me this week in writing a bref double. Please share a link to your poem or the poem itself in the comments. 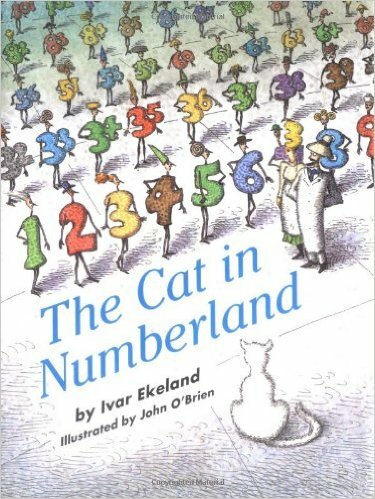 Over at Bookish Ways today you'll find a post describing some books on math and puzzling in honor of Math Storytelling Day. After reviewing the entry once it posted, I realized I was missing an important set of stories. Have you seen or heard this old folktale? 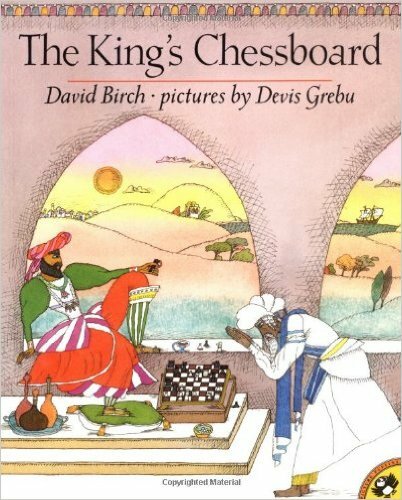 This problem is one of the earliest mentions of Chess in puzzles. It was first suggested by the Arabic mathematician Ibn Kallikan who, in 1256, posed the problem of the grains of wheat, 1 on the first square of the chess board, 2 on the second, 4 on the third, 8 on the fourth etc. There are several children's books that examine this concept of doubling. You can see the problem written out with all the math at The Legend of the Chessboard. 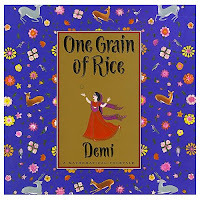 At the Math Forum page entitled A Fable you can learn the distance all those grains of rice stretched end-to-end would extend. And for one final story, check out Robert Krulwich's post entitled That Old Rice-Grains-On-The-Chessboard Con, With a New Twist. 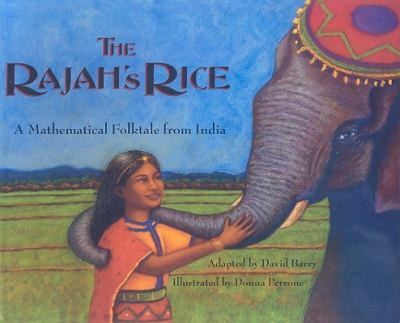 Today is Math Storytelling Day. In honor of this auspicious event, I'm sharing a video, a book, and some related poems. 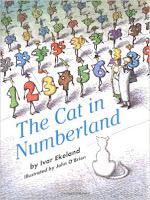 A wonderful book to accompany this video is The Cat In Numberland, written by Ivar Ekeland and illustrated by John O'Brien. David Hilbert, a mathematician interested in how infinity works and different sizes of infinities, first made up the basic story (see video above). In this version of the story, Mr. and Mrs. Hilbert run a hotel called the Hotel Infinity. That cat who lives there becomes confused when the Hilberts are able to find room for new guests, even when the hotel is full. To learn more about the book, see this comprehensive review from the American Mathematical Society. Let's wrap this up today with a few poems about infinity. And in narrowest limits no limit in here. That's it for me on this Friday. 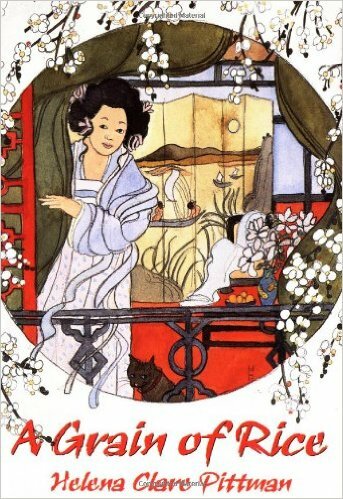 I do hope you'll take some time to check out all things poetry being shared and collected today by Janet Wong over at Poetry for Children. Happy poetry Friday friends! Sometimes I find the most interesting poetic forms on the internet. In some cases it's impossible to tell who invented them or what their historical roots are. Here is one such form. A minute poem consists of 3 quatrains. Each quatrain is written in iambic meter and is composed an 8 syllable first line, with the remaining lines only 4 syllables each. The rhyme scheme is AABB/CCDD/EEFF. You can learn more about the minute poem and read an examples at Shadow Poetry and Poetry Dances. I hope you'll join me this week in writing a minute poem. Please share a link to your poem or the poem itself in the comments. I spent some time "junking" over the last few weeks in an effort to find inexpensive artifacts for some social studies lessons. In my travels I came across these two wonderful books. I'm quite taken with the story of Emmaline, a mouse who lives in Emily Dickinson's bedroom and finds in her a kindred spirit. I'm also quite fond of her poems. 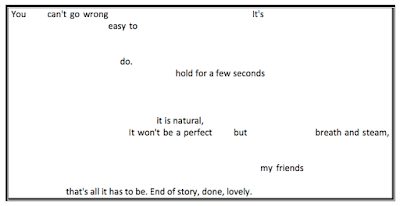 Here is one Emmaline wrote in response to a poem of Emily's she read. I am a Little Thing. I wear a Little Dress. And Hope burns in my chest! I hope you have a chance to pick up this gem of a book. Until then, you can read more about the book in this NYTimes book review. I never miss a chance to pick up a book of Myra's. This one has some lovely poems. 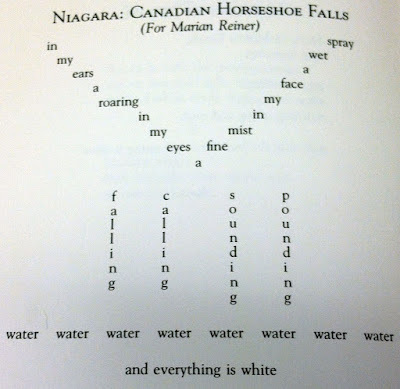 Here's a shape poem I particularly like. This is a quirky little collection about everyday things. Here's one more poem. Given all the talk of Syria, it's one that has taken hold of me and won't let go. Off to fight a terrible war. The green troops charge. The gray side falls. Guns splatter bullets on the walls. Dropping bombs all over the room. All the soldiers are dead but two. The game is over. The war is through. The plastic soldiers are put away. What other game is there to play? That's it for me on this Friday. I do hope you'll take some time to check out all things poetry being shared and collected today by Michelle at Today’s Little Ditty. Happy poetry Friday friends! Say Hello to Poetry, Cybils Style! It's that time of year again. On October 1st the Cybils open for nominations. I am excited about serving again this year in the first round of judging with an AMAZING group of folks. Here's the scoop on the poetry category. I know we'll have a slew of terrific books to review and report on, with the outcome being a small group of outstanding finalists that will give those round two judges a whole lot to talk about. Last year I racked up $31 in library fines for keeping my books a wee bit too long. Let's hope I'm much better about returning books this year. I can't wait to get started. Three cheers for the Cybils! In the summer of 1787, the Constitutional Convention met in Philadelphia to write a new plan of government for our nation. The Constitution was approved by the Convention and signed on September 17th of the same year. Once signed it was sent to the states for ratification. In 2005, a federal law established September 17th as Constitution Day. Here are some books and additional resources to help you celebrate the law of the land in your home or classroom. Please note that these are largely focused on the elementary level. The United States Constitution: A Graphic Adaptation, written by Jonathan Hennessey and illustrated by Aaron McConnell - This graphic text provides an illustrated journey through the articles and amendments of the Constitution. Text and illustrations provide clear explanations and historical background. Shh! 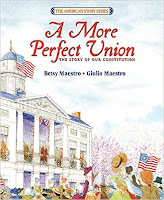 We're Writing the Constitution, written by Jean Fritz and illustrated by Tomie dePaola - This book provides a highly readable account of the Constitutional Convention by describing what the framers were doing and how they did it. Readers will find the text of the Constitution, as well as several pages of explanatory notes. We The Kids, illustrated by David Catrow - Drawing on his strengths as a political cartoonist, Catrow uses a group of friends and a backyard camping trip to make the Preamble to the Constitution understandable for readers by pairing the text with illustrations that help define phrases like insure domestic tranquility, common defense, and our posterity. For example, the illustration for "establish Justice" shows a dog wearing a helmet and standing guard while the kids play inside the tent. 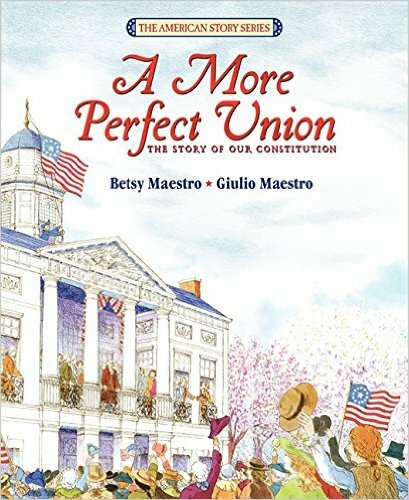 A More Perfect Union: The Story of Our Constitution, written by Betsy Maestro and illustrated by Giulio Maestro - This book provides an overview of the Constitution, beginning with the initial decision to hold the convention and ending with the adoption of the Bill of Rights. The focus of the text is really on the basic decisions about the organization of the government which resulted in the Great Compromise. Also included is a final section that provides a list of the signers, chronology of events and dates, and simple summaries of the Articles and amendments. 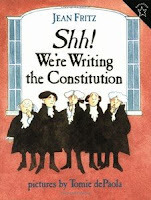 If You Were There When They Signed the Constitution, written by Elizabeth Levy and illustrated by Joan Holub - Like other books in the If You Were There series, this one is organized around a series of questions. It begins with What is the Constitution? and then moves on to a bit of history (the war, the Declaration, the Articles of Confederation) in order to lay the foundation for understanding the document. This one answers many questions about who was involved, why certain choices were made, and how the process worked. 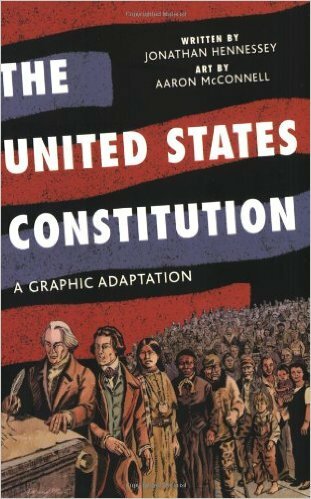 The U.S. Constitution - This book begins with James Madison introducing himself and asking the question "What is the U.S. Constitution?" What follows are a series of spreads with information about the framers and how they worked together, the document itself and the branches of government. The Bill of Rights - In this book James Madison looks at the Bill of Rights and explores how it came to be. Constitution Translated for Kids, written by Cathy Travis - Written at a 5th grade level, this book provides the entire text of the Constitution accompanied by a kid-friendly translation. In addition to the side-by-side translation, readers will find a timeline of events leading up to the writing of the Constitution, a glossary, information on Constitutional compromises, a bibliography and more. Ben's Guide to U.S. Government for Kids has a wealth of resources at different grade levels. The pages on the Constitution of the United States for grades 3-5 are particularly useful. America's Story from the Library of Congress highlights James Madison's Contributions to the Constitution. Congress for Kids has a site on the Constitution that includes information about the writing the document, the Great Compromise, the signers, the Bill of Rights, other Amendments and much more. White House for Kids also has a resource page on the Constitution. The Bill of Rights Institute has a flash interactive module entitled Madison's Notes are Missing. In it, students travel back in time to the Constitutional Convention, talk to the delegates (with animation and voice), and write a news article about the events. USConstitution.net has information on the Constitution for kids in grades K-2 and kids in grades 4-7. The National Endowment for the Humanities provides a number of resources for celebrating Constitution day. The Library of Congress also lists a variety of Constitution day resources. The Center for Civic Education provides lesson plans for K-12 classrooms. The Constitution Center has a searchable database of resources. Last But Not Least ... Schoolhouse Rock! My son started high school last week and with it, his first foray into learning another language. He came home on Friday with a list of vocabulary words to memorize for a quiz on Tuesday. When I realized one of his words was ubi (he's taking Latin), I knew exactly what the form for this week's challenge would be. Here is how The Poetry Foundation defines the form. A number of medieval European poems begin with this Latin phrase meaning “Where are they?” By posing a series of questions about the fate of the strong, beautiful, or virtuous, these poems meditate on the transitory nature of life and the inevitability of death. The phrase can now refer to any poetry that treats these themes. You can learn more about this form at Wikipedia. You can find helpful advice for writing an ubi sunt poem at How to Write a Ubi-Sunt Poem (Synonym) and How to Write a Ubi Sunt Poem (Seattle PI). I hope you'll join me this week in writing a poem in the form of ubi sunt. Please share a link to your poem or the poem itself in the comments. If you are interested in 9-11 poetry, see The Response of American Poets to 9-11: A Provisional Report at the Michigan Quarterly Review. 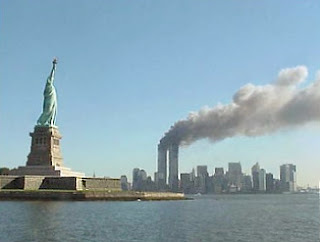 You'll also find a helpful Web Guide to the Poetry of 9-11 from the Library of Congress. I'd like to end today with this poem by Billy Collins. I do hope you'll take some time to check out all things poetry being shared and collected today by Robyn Hood Black at Life on the Deckle Edge. Happy poetry Friday friends! The next form for the Poetry Seven year-long writing project is the etheree. Since I've promised myself I won't wait until the last minute this time around, I'm posting the form now as a reminder to get to work! An etheree is a poem of ten lines in which each line contains one more syllable than the last. Beginning with one syllable and ending with ten, this unrhymed form is named for its creator, 20th century American poet Etheree Taylor Armstrong. You can learn more about the etheree at The Poets Garret and Shadow Poetry. I hope you'll join me this week in writing an etheree. Please share a link to your poem or the poem itself in the comments. After reading my poetry sisters' posts yesterday, I wanted to revisit my poems, rethink the form, and play a bit more. While doing this, I thought I would share a bit about process. I had a hard time finding source material for this project. I looked over travel brochures, the newspaper, appliance manuals, picture books, and more. It wasn't until I was looking for a dinner recipe that it struck me I might be able to use a recipe. Unlike my mother's old Good Housekeeping cookbook (a wedding gift circa 1952), today's cookbooks contain more than just recipes. They often contain a bit of insight, family history, tales of cooking exploits, and more. When I read Jamie Oliver's recipe for Monkfish Wrapped In Banana Leaves With Ginger, Cilantro, Chile, And Coconut Milk, I knew I had a text to work with. You just can't go wrong with this combination of flavours. It's open to all white-fleshed fish. Banana leaves are very easy to buy from Asian or Latino markets. Get nice big ones to wrap your fish up in. Failing banana leaves, you can use vine leaves, which you can get in the supermarkets, somewhat smaller, but no less tasty for that. If you really can't get hold of any leaves then kitchen foil will do. To make the banana leaves more pliable, hold for a few seconds over a gas flame. Leaving aside the fish and herb sticks, pound the rest of the ingredients in a pestle and mortar to make a thick paste and spoon a little onto each banana leaf. Place the fish on top and then spoon the rest of the paste on the top. Bringing the sides in and spiking it with a rosemary sprig or bay leaf stick to secure it. This will look lovely and it is natural, but I have been known to use a clothes peg or string to hold it all together. It won't be a perfect seal but this allows it to breath and steam, letting the flavours infuse, so gutsy and tasty. Put the parcels on a tray and bake for 15 minutes, then remove from the oven, and allow to rest for 5 minutes. I serve the individual parcels on plates at the table and let my friends dissect them. When opened, the fragrant steam wafts up and smells fantastic. Serve with plain boiled rice to mop up the juices, that's all it has to be. End of story, done, lovely. 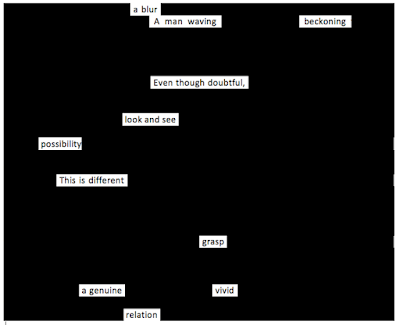 Once I began looking at the words, the recipe faded into the background and I was left with "finding" a poem in a limited bit of text. Now that I look back, I realize that there are other words and phrases I might have used, like "to make ... more pliable," gutsy, spoon, and flame. However, I also told myself that I HAD to use the words in the position and order found, so some of the words I liked may not have fit in appropriate place given this rule. 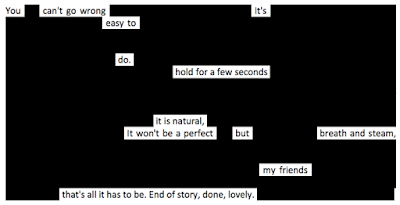 Originally, I made this into a blackout poem. After seeing some the poems of my sisters (particularly Tanita's), I thought maybe I would like this better with the words "whited out" instead of blacked out. 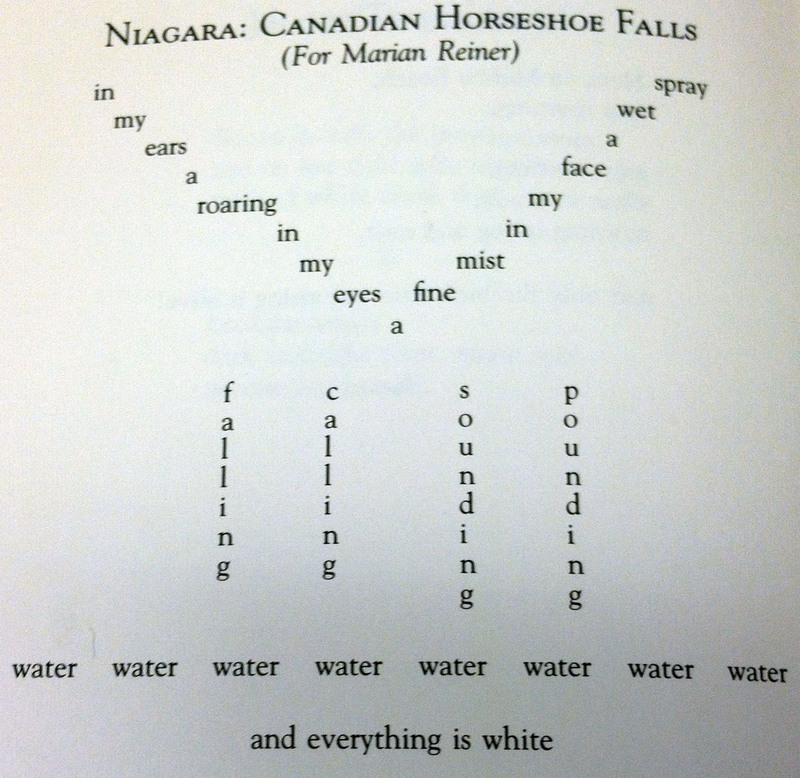 Here's what the poem looks like in reverse. I almost think I like the second version better. It seems less jarring to read. Maybe next time I'll create the poem by copying the page and simply using a highlighter. Who knows? 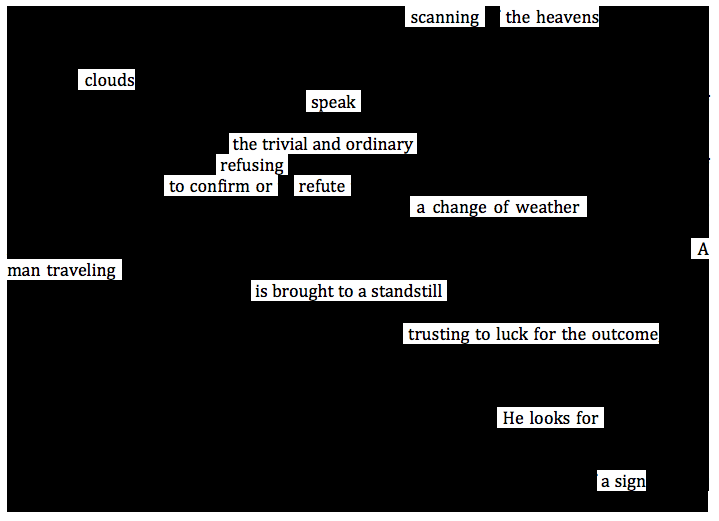 This poem was the very first found poem I've ever written in this manner. 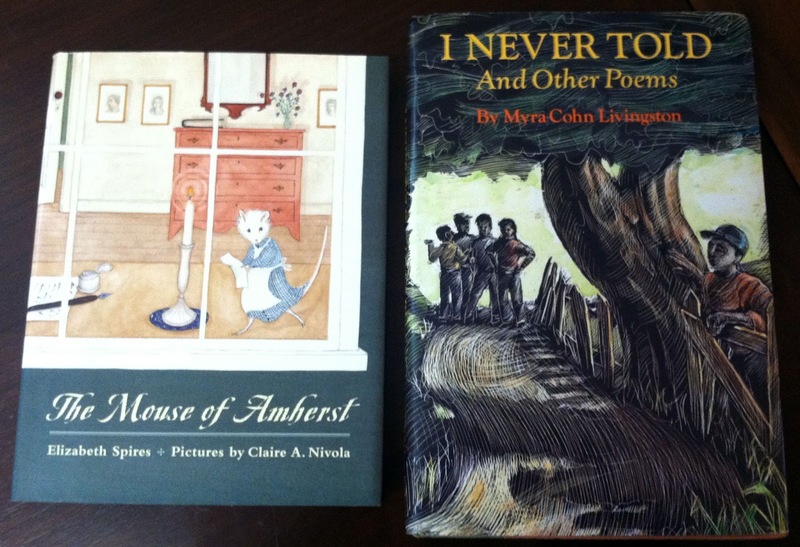 (I have written centos using book titles and created book spine poems. I suppose those could both be considered a form of found poetry.) Once it was done, I realized that I didn't need text that was beautifully written, but rather one that contained a wealth of interesting words. My second choice was an academic text. It was wordy and convoluted, but I found inspiration in a number of excerpts. I'm not sure I'll pursue this form again, but who knows what may happen the next time I sit in a meeting and have some dreadful page of notes in front of me. If I look at it with a poet's eye, I might just find what I need to make a poem. 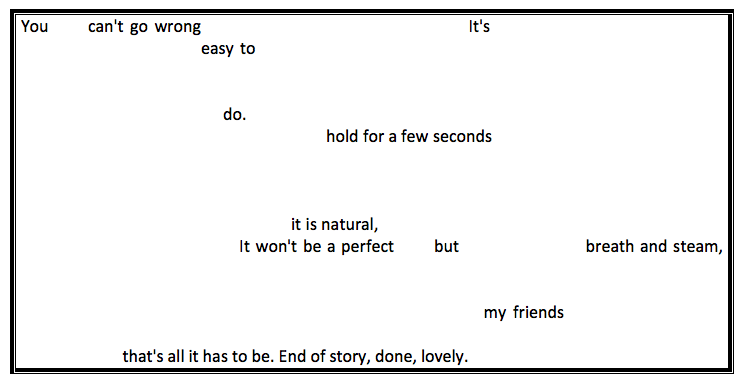 I haven't quite decided how I feel about found poems. I did a lot of reading while trying to find just the right source. I tried mining historical documents, but the language was already embellished in many ways and while I tried to create something new, using such beautiful language felt like a bit of a cheat. Ultimately I decided to look for plainer language and perused cookbooks, travel brochures, and classic educational works. Once I did that, I needed to think about form. (For more information, see my post entitled Jumping Into Form - Found Poems. After a bit of research I finally settled on blackout poetry. When I posted the poems to the Padlet that Laura created for this month's efforts, I realized that together they actually told a story, so that's the way I'm sharing them here. The first two poems were created from excerpts of the book How We Think, written in 1933 by John Dewey. (Poem 1 from p. 10-11. Poem 2 from p. 109.) The third poem was created from the introduction and directions found in a recipe by Jamie Oliver. That recipe is Monkfish Wrapped In Banana Leaves With Ginger, Cilantro, Chile, And Coconut Milk. You can read the found poems written by my Poetry Seven compatriots at the links below. Since I've heard several folks question copyright related to found poems, I want to share a bit on this. I take copyright infringement seriously, so I did a good bit of research about copyright issues and poetry in April when I did my series on poetic forms. I highly recommend reading The Code of Best Practices In Fair Use For Poetry. Here's an excerpt from the section on new works (which includes centos, erasure, "found" material, and more).